First of as of late I've been very interested in the Pagan and Wicca Religions. I've even gone as far as getting copies of rare Grimoires. Something happened to me last night. Still not really sure what, but something. And almost immediately after I realized what I had done, the air turned extremely heavy and almost electric in my study space... At that point I knew I was in for at least a little bit of fun this evening... Not knowing any specifics of what may occur of course. And may I add that this feeling in the air did not dissipate until AFTER I awoke the next day. Even when I awoke I had a menacing feeling of discontent. Shortly after the air shifted, I felt it was time to hit the hay, so to speak. 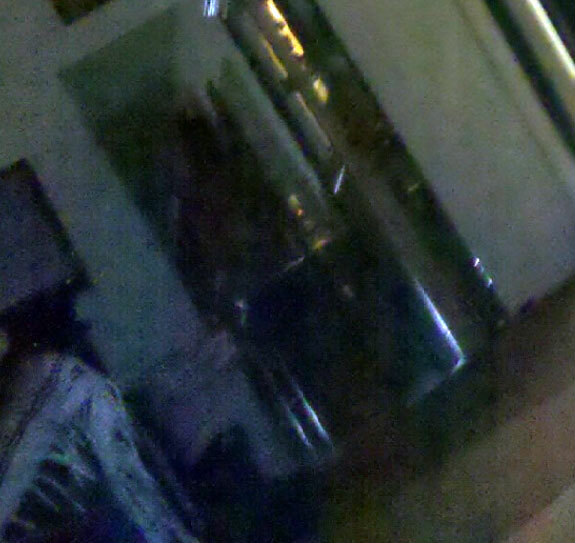 Probably no more than 10 minutes passed as I was laying in the darkness concentrating on my astral self, I heard a knock on my door going to the back patio... And mind you it would be near impossible to get in my back yard unless you felt like jumping a fence just to knock on my door. I heard this knock, (which I later tried to debunk as the house settling, the only way I could replicate anything remotely close to the sound I heard, was to tap on the door with a single knuckle.) And almost immediately after I heard this, my ENTIRE BODY went numb. I knew immediately this wasn't right, so I attempted to close myself off to anything "leeching" my energy. Well I think this just pissed it off more. Because when I closed myself off, I got an extreme feeling of "Dread" and Fear. This feeling lingered until I was able to "free" my astral self, and somewhat drift off to sleep I guess you could say. Typically, I can remember my astral dealings in the morning when I wake up, but this morning was just strange... I could only recall a single tiny fragment of my time spent in the lower astral plane. Very weird for me indeed. But wait, it gets better. After this feeling of Dread and Discontent finally went "away", I started my day off with a shower per usual. 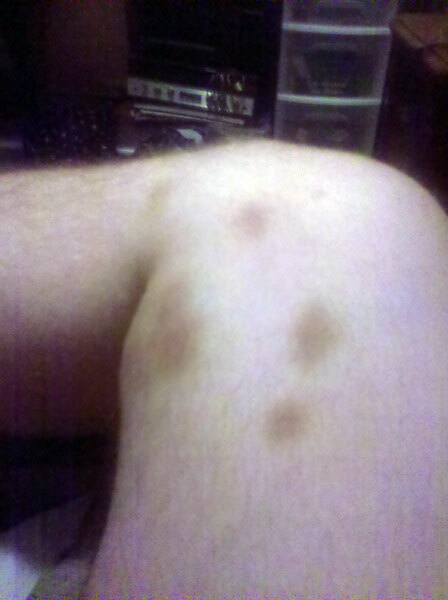 But as I unclothed, I look at my calf above my knee, and see 6 bruises all together. 5 of which where in perfect finger marks, and the 6th was the big bruise, where it looks like I was grabbed violently underneath the finger marks. I've had plenty of dealings with the "Paranormal", but nothing has ever escalated to being physical. Kind of afraid I opened a "Doorway" I can't shut. As I said, my "Incantation" if you wish to call it that, was completely unintentional, I have a certain tendency to read aloud while also reading silently, and I'm not sure what to really do. The following comments are submitted by users of this site and are not official positions by yourghoststories.com. Please read our guidelines and the previous posts before posting. The author, Vox_Animae, has the following expectation about your feedback: I will participate in the discussion and I need help with what I have experienced. Yo Vox, 'sup? This is what I is talin 'bout, fo real. PPS - That book appears to be demonolatrous rather than Wiccan. Please be careful and blessed be! PS - These things come and go. Silence now does not guarantee safety in the future. Do not assume you are safe. Remember, evil often wears a friendly face, and will increase its presence in your life in the sneakiest of ways. Something I have told my partner, many times, is to never, ever, EVER speak aloud any incantation you do not understand, as words are powerful and retain their meaning despite your intention. That is why a) The incantation must be in your native language and b) You must understand the depth and intricacies of what it is you are reading. When I was 14 and a brand new wiccan (over half a lifetime ago, now) I remember sifting the internet to find fun "Wiccan spells". I remember coming upon an incantation to "summon a familiar". But as I read through the verses I realized, hey, this isn't a summoning familiar spell. This is a demonic possession permission spell. Basically, there are evil people out there who try to trick young aspiring Wiccans into doing harmful incantations. I have little doubt there were evil people in olden times who did the same. I'm sure they've existed since the beginning of humanity. Another rule of Wicca is that any time you meditate, go into a trance, or explore the astral realm, you MUST first tether yourself. You can envision it however you like. I prefer to envision a light from my tailbone to the center of my earth before calling another light to enter my head and flow through my body. The ONE time I ever didn't tether myself, I was attacked spiritually. And you can bet your britches I shielded myself after that. I closed myself from the spirit world completely. I can't see a dang paranormal thing. It's depressing sometimes, but at least nothing can harm me now. I have my own personal bubble of protection. You summoned something, I believe. So often I try to be a scientist but what happened here rings all too similar to my own personal experiences. I don't think Christianity is the answer. (I tried that. Made it worse.) I think ceasing these incantations is the answer. If that means putting duct-tape over your mouth whenever you read anything at home, then do so. Seriously. I just google searched Kingdoms of Flame and good heavens, you read aloud a summons of an unidentified entity. You are new to this. I highly recommend you find your nearest local priest or priestess and have the entire freaking coven bless and cleanse both your body and your home. Forgive my strong tone. I am genuinely concerned. Witchcraft is not something to be dabbled with lightly. I don't think the shadow people had anything to do with what you may have summoned. Shadow people are actually very benign and won't generally do anything. I have found that they do tend to gather around someone who is feelind distressed or is mourning, but it almost seems like they create a shield around that person. If anything, whatever you summoned probably wanted you to take those pictures so that you would see the shadow people and hope that you would become more scared which would make it easier for it to manipulate you and cause you harm. Sorry for being so slow to respond everyone, And I really appreciate all the comments... It seem's what ever was conjured up has decided to leave... A few day's after this occurred, everything died off. No activity, No strange senses of heaviness, Nothing. It's actually kind of perplexing to me... Could this have just been something passing through? I am having trouble understanding how you could "accidentally" read aloud an incantation? I mean, if you are as educated in this...practice... (or what ever you call it), as you imply you are, surely you had to know how dangerous that could be? I don't know... It just seems like this is not a mistake that would be made. I saw a grimoire on Google once that someone had uploaded onto the internet and I was constantly going there and reading it. It was the scariest thing I had ever seen because it looked so real and like the spells and incantations really worked. I would never try that stuff, I hope that you are OK but there should be professionals that you can turn to for help outside of this site. I wish you luck in closing whatever doorway you opened. Wow, hey guys if you click on the middle and last picture it will be enlarged. After you do this, look really close at the, "shadow". In the middle picture, upon my close examination, it looks like the "Grim Reaper", holding the sickle, on the right hand facing, side. Now click and enlarge the last picture. 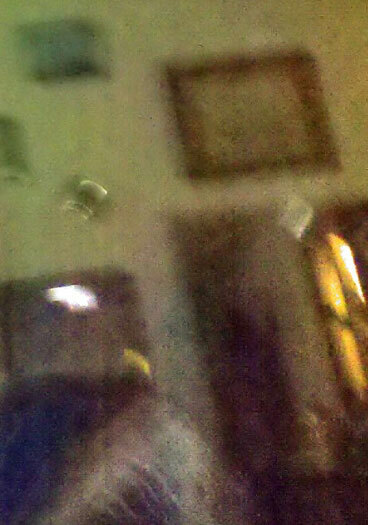 In the bottom, left hand facing, corner, there seems to be a man with a tall hat, and looking slighty to the left side of the picture. Also, there is a large white shadow in the background to the right side of the picture. It looks like a long white coat and the sun is reflecting off of it. It seems like the head is covered by a flash of light, but you can sort of see its' hands, and it's holding something in right hand facing side. Seems like you opened a doorway. I recommend getting a king james bible and reading psalm 91 and 71. Out loud at night and in the morning. I also recommend getting some sea salt mixed with white vinegar and leaving it in a bowl to evaporate in rooms where it manifests. If the incantation comes from a Grimoire, probably you could have summoned a Wiccan Spirit. Bear in mind, Wiccan are said to be witch, dark magician and so on, so their soul may be more powerful and harmful. You should surely look through your books for a repelling spell, in the meanwhile you can protect yourself by drawing a five pointed star, representing the five elements, and light a candle at each point. Of course you have to be in the middle to be safe. I see your point concerning the 'binding' but what I am referring to is how one 'binds' the 'spirit/entity' one is summoning to the 'protective circle' one has created for such a purpose. By doing so once the 'spirit/entity' is dismissed it has to 'depart' the binding is 'undone' and the protective circle can then be 'erased'. Or in a 'worse case' scenario the protective circle can be 'activated' thus causing the spirit/entity to be banished. I was NOT referring to a binding to an object or an individual. If you think a certain entity or spirit is trying to grasp you by hurting you, do so interacte with the entity because maybe it wants helps or maybe it justs wants to say hello. I agree with the first part of Rooks suggestion, but not so much on the second part. If your going to read these books, which I'm not discouraging, you need to be able to properly protect yourself. There are books on different ways to protect yourself, and I don't just mean your body. Your home is in need of protecting as well, as some "Beings" will result to a type of polterism (if you will) in order to "get your attention". So you need to learn to protect yourself. I think binding though is a bad Idea, as most bindings deal with binding to a person, and binding to an object can be tricky. I would suggest learning how to take back your "invitation" You have to remember, in reading some of these things out loud you automatically give invite to some things coming into your home. Wither or not you like it. So learn how to uninvited (if you will) your invites. Your Grimoire "Kingdom of Flame" should have this ready and available in the same manner. There SHOULD be a chapter in the book on it, if it's not right by the original incantation itself. I wish you the best in this matter. Merry part until we meet again. Wow! Thanks for sharing! Those pictures freaked me out! I wish you well! Wow Rook is right seems like you did invite someone not meaning to. This is a bit on the creepy side, The best I can tell you is do what Rook says he seems to have a handle on this one. Thanks for the story and the cool pictures. My First suggestion to you would be to get the book you read from ("Kingdoms of Flame") and look through it... If it has summoning rituals/spells it should have the banishment rituals/spells in it. Once you find it read the banishment ritual/spell out loud just like you did for the 'summoning'. My Second suggestion is this... If you know you have a tendency to 'read out loud' please prepare your personal Shields and set up the 'holding/binding rituals/spells recommended by the 'Grimoire' you have chosen to read, that should go a long way to protecting yourself from any 'inadvertent summoning' you may do in the future. © The ghost story A Dark Summoning is copyrighted to Vox_Animae. Edited by yourghoststories.com.